Did you know that Hanna Andersson makes pajamas for Serena & Lily? The prints are much more sophisticated than what you find among regular Hannas and the colors are lovely and slightly muted. 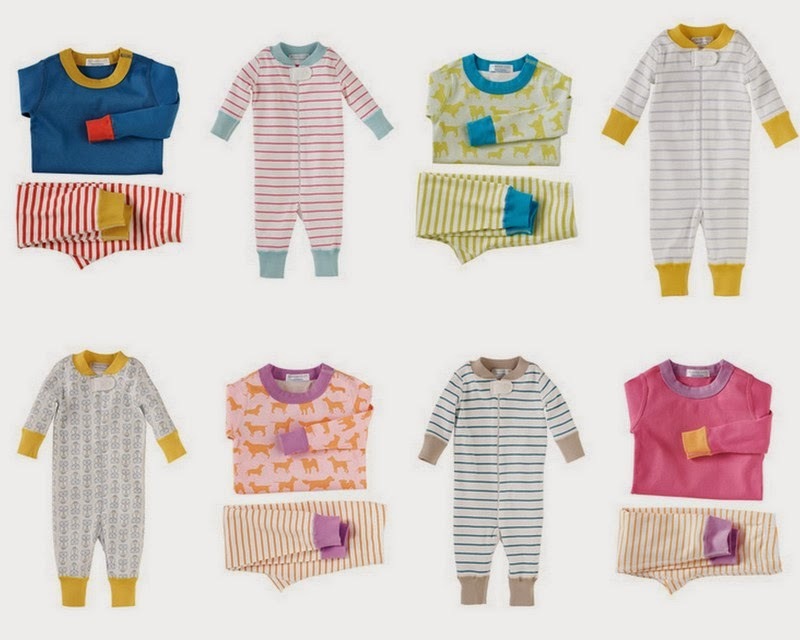 These might be my favorite kids' pajamas around right now, and they are currently on sale at Gilt! The prices are not show-stopping, but if you are as tempted by these beautiful colors and pints as I am, here's a chance to get almost a 50% discount. They are normally $36-$46 a pair (ridiculous), but are currently $16-$26 at Gilt. You can also find some of the Serena & Lily Hannas on sale for $18.99-$24.99 at Serena & Lily itself (though the sale selection is not as varied or plentiful).